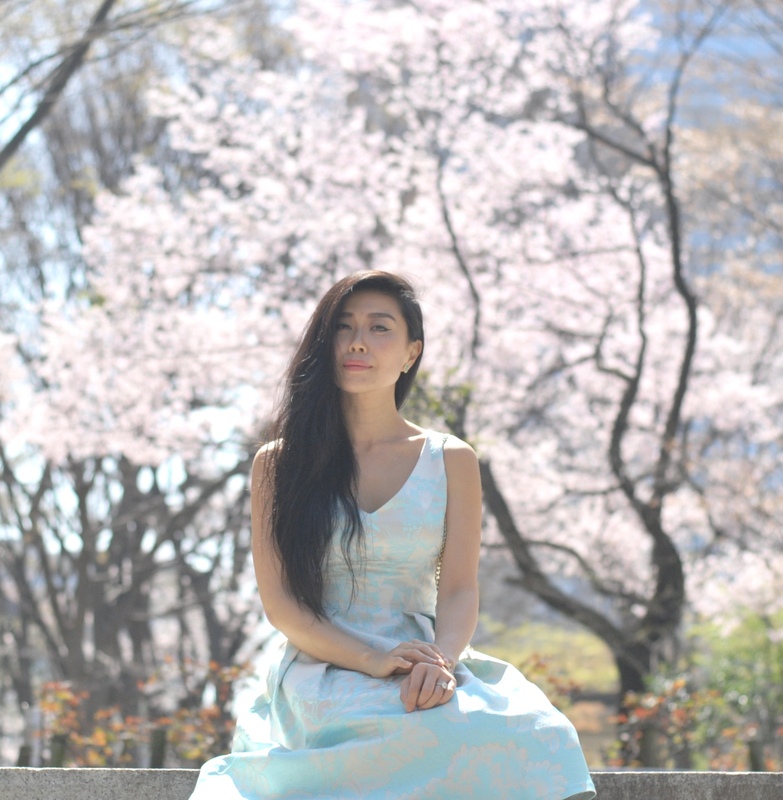 Sharing a super romantic outfit inspired by the Tokyo cherry blossoms! Hello from Japan! 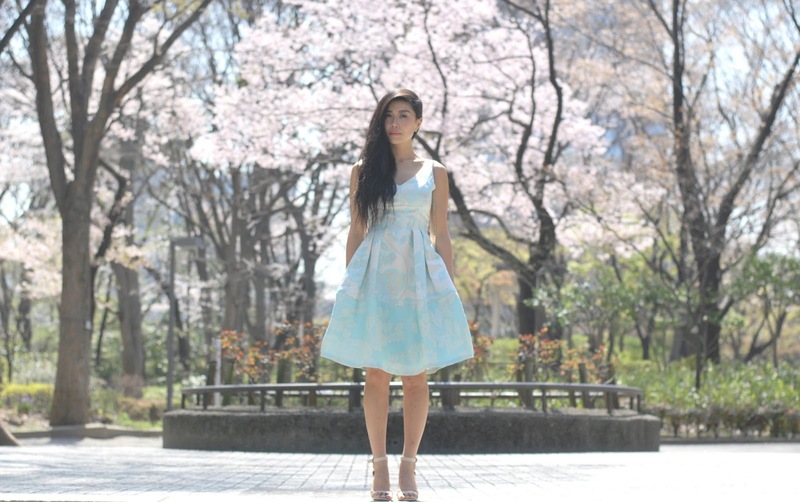 I'm so glad I packed my mint rose Maggy London dress on my trip as I couldn't think of a more perfect outfit to wear while strolling through the cherry blossom fields of Tokyo. The blooms are so delicate and so striking! I'm having a blast and can't wait to share more of my trip soon!